“Looking at pictures” by Susan Woodford is an interesting book published by Thames & Hudson, London. A pocket sized paperback, “Looking at pictures” can enhance visit to an exhibition for art lovers or can be a practical guide for inexpert or else an effortless reminder for professionals. Easy to read, with explanations of the main aspects of picture usage, it spans through the history of art. There is always more than one way of looking at any picture and considering the reason for its creation. In this brilliantly presented book, Susan Woodford offers the indispensable equipment to support anyone to understand and explore pictures. Looking at pictures can be a wonderful, stimulating or touching experience. However, some pictures require a bit of explanation before they can be fully understood. Exploring the origins, designs and themes of over one hundred pictures from different periods and places, Susan Woodford illuminates the art of looking at – and talking about – pictures. Woodford’s enthralling prose compares different artistic approaches, questions assumptions and introduces the reader to a wide range of stimulating ideas. She shows how you can read a picture by examining the formal and stylistic devices used by an artist, and explores popular themes and subject matters, and the relationship of pictures to the societies that produced them. “Looking at pictures” opens with the Introduction followed by a chapter on different ways to look at pictures (how to use picture; cultural context; resemblance to reality; and design and structure) which are really clear and give the necessary basic tools. It continues with settings like Land and Sea, with portraiture, passing by History and Mythology, the Christian’s contribution, and the Tradition ending with more complex Formal Analysis, Hidden Meanings and Quality. This short and practical guide is part of the Art Essentials series recently launched by Thames & Hudson, London. Art Essentials is an affordable, accessibly written and authoritative new series from Thames & Hudson. Its books present need-to-know expertise that provides the keys to a richer understanding of art of all kinds. Susan Woodford received her BA from Harvard University and her MA and PhD from Columbia University. She teaches art history and lectures at the British Museum, London. In addition to scholarly articles, she has written five other books for the general reader and was the winner of the Criticos Prize 2003. 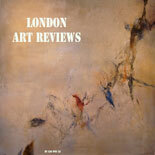 “Looking at Pictures” by Susan Woodford has been published by Thames & Hudson, London. This entry was posted on July 21, 2018 by London Art Reviews in Other Art Events, Reviews and tagged Looking at pictures, Susan Woodford, Thames and Hudson.